This post was sponsored by Orville Redenbacher’s Popcorn. I’ve always been that person, you know, the one in the back row of the movie theater munching down on something that I clearly didn’t buy at the theater. For as long as I can remember, I always carry my own snacks to the movies. I love being able to snack on what I choose to and not be forced to choose from what’s available at the movies and pay their exorbitant prices. This will typically range from full meals like Chinese takeout (growing up in NYC that wasn’t uncommon) or snacks and desserts like cookies, brownies and popcorn. I know I’m not the only one who does this! 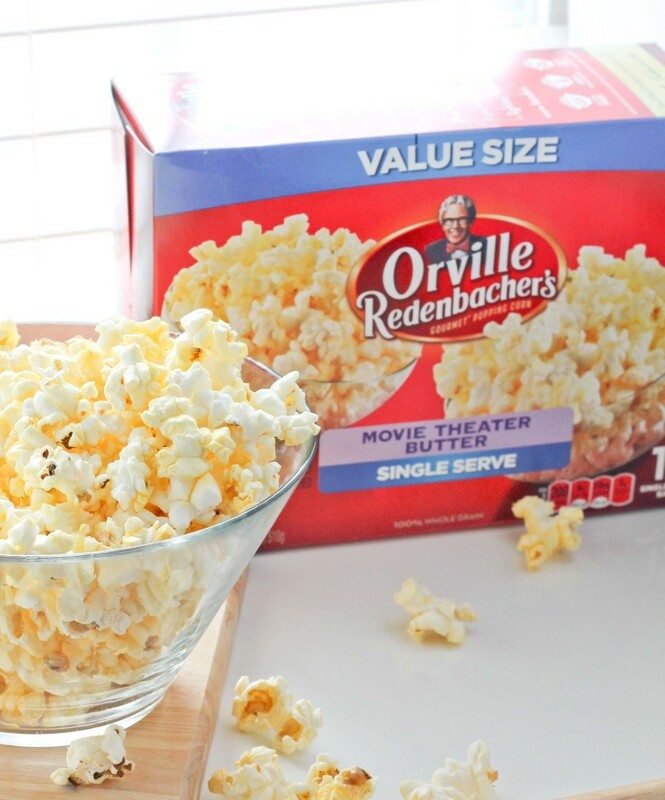 Orville Redenbacher’s Popcorn has always been our choice in this household, we love the taste first and foremost but I love how convenient it is to just pop a bag into your microwave and have fresh popcorn in a matter of minutes. Now if you want the theater experience, try their Movie Theater Butter Popcorn. This fall Orville Redenbacher and US Weekly are hosting Family Movie Nights across the country in certain cities like Boston and here in Georgia! 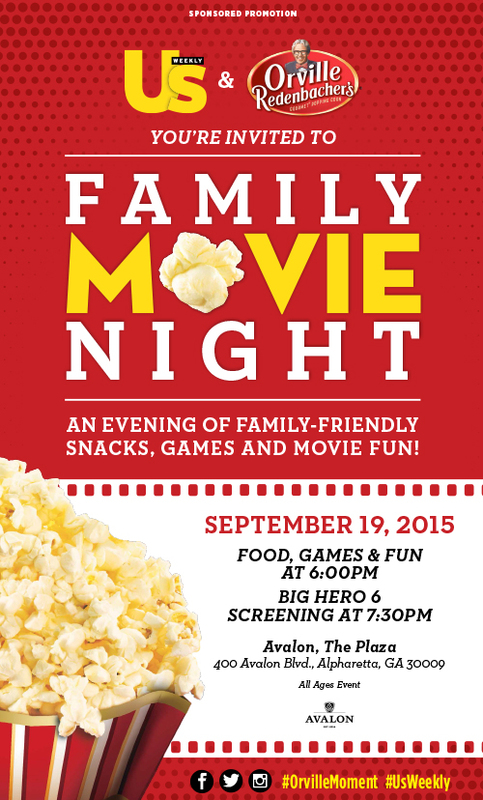 There will be an US Weekly’s Family Movie Night in Alpharetta at Avalon, The Plaza on September 19th at 6pm. There will be food, games and a movie! This is a free family friendly event and is open to all ages, so bring the entire family along and have a great night out. I will be there with my family so come on out and enjoy a fun night out and make sure to say hi if you see me!